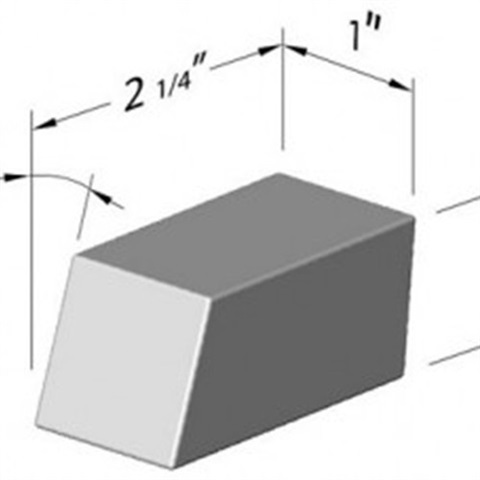 Square Wedge Tungsten Bucking Bar is a wonderful option for small areas. It is designed while keeping the operator's comfort in mind. High grade of pure tungsten metal is used in the manufacturing of Square Wedge Bar under highly advanced technology. This range of Square Wedge Tungsten Bucking Bar can be easily availed by our prime clients at reasonable market prices. Our metal bars are highly efficient in nature and can be ordered in customized forms. It is widely popular for its highly durable nature.